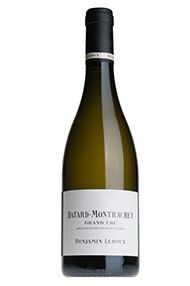 Only one barrel of this wine, from Benjamins own property at the top of the vineyard on the Chassagne side, was produced in 2010. A scintillating nose awaits that is brooding with intensity and moves onto an ever increasing volume of fruit on the palate, perfect oak integration and extraordinary persistence. 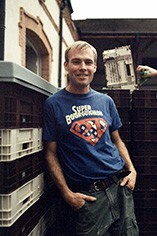 Benjamin Leroux has managed to produce almost as much wine in 2010 as he did in 2009. Some of his grape contracts were short because of the low crop in 2010, but he has been able to compensate with some new sources of supply. 2010, Benjamins fourth vintage, looks to be a great success in both colours here. Included in this selection is a cuve of Volnay Santenots from the Hospices de Beaune whose lvage we entrusted to Benjamin. Having created a name for himself as régisseur (general manager) of Domaine du Comte Armand in Pommard, Benjamin Leroux established, with English backing, a small négociant business based in Beaune since 2007. The range is confined to the Côte d’Or, from Chassagne-Montrachet to Gevrey-Chambertin, with the intention of developing farming contracts or indeed purchasing vineyards in the future. The possibilities are very exciting for this exceptionally talented vigneron. Benjamin is a master at delivering purity of fruit alongside a seamless texture in his wines which have only the subtlest influence of oak. One of Benjamin’s favourite locations for white wine vineyards is the border between Auxey-Duresses and Meursault, which is where Les Vireuils can be found. Here the natural weight of Meursault is enhanced by the fresher minerality typical of the side valley of Auxey-Duresses.